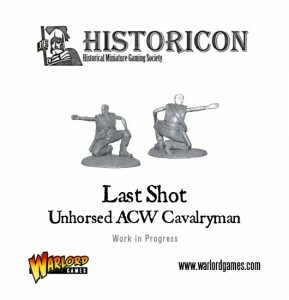 Warlord Games is showing off a WIP process for their Historicon 2013 special miniature they're working on. We were honoured to be asked to produce the special miniatures for this year’s Historicon show in the United States. The theme of this year’s show is ‘American Civil War – 1863, Year of Decision’ So it was obviously going to be a miniature that reflected that.